A private home care provider has announced it is creating 200 new jobs in Northern Ireland. Connected Health said the majority of the full and part-time homecare, training and support roles will be based in Belfast and North Down. It currently employs more than 450 people in Northern Ireland and 110 in the Republic of Ireland. The recruitment drive is part of an expansion which includes the opening of a training facility in west Belfast. The Connected Academy, based at the Park Centre in the Donegall Road, offers training courses to HND and foundation degree level. 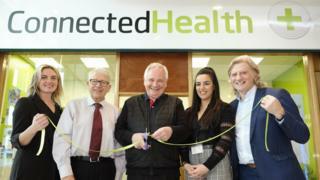 Connected Health chairman Brian O'Connor said he was "delighted" to announce the company's growth and recruitment would begin immediately. "The highest possible standards of training and development will be provided to all new recruits to continue to promote opportunity, aspiration and career progression throughout our organisation," he added.